A few days after Jamie Thompson and Jessica Lumsden met online, they decided to officially meet. They created a scavenger hunt involving clues and pictures sent to each other throughout the day, and ended up meeting at a lookout point over the city. After realizing that they were actually trespassing on private property, the couple met up later that evening to listen to a band. Their strong connection was immediate, and nearly five years later while at their favorite place, Cherry Grove Beach, SC, Jamie proposed on one knee at sunrise, creating a perfect moment for this "perfectly imperfect, loving couple." The couple's special day was made even more magical by an emotional First Look, where Jamie and Jessica could spend a moment alone before officially becoming husband and wife. 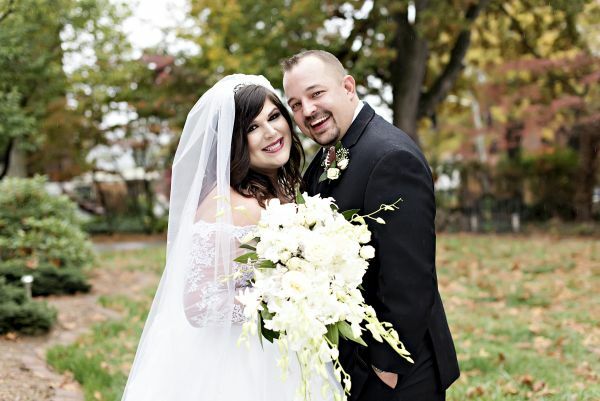 Jessica, wearing a custom-made dress, walked down the aisle to the song "Marry Me," which was just one of the contemporary love songs that made a statement during the ceremony. Jessica says that it was wonderful to have "all of her favorite people in the world in the same place at the same time." 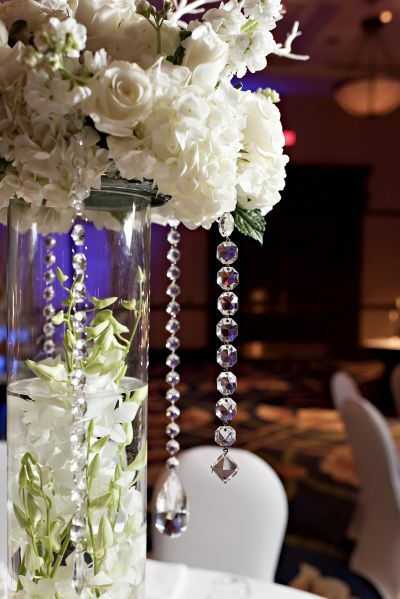 The reception, held at The Hotel Roanoke, was all about the glitter, sparkle and shine with colors such as black, white and gold paired with breathtaking arrangements. At the end of the night, the wedding guests took home unique favors: Jessica had sent out photos of all of the guests to a caricature artist, who had sent back drawings of everyone who would be attending the couple's celebration. These caricatures were on display during the reception, and they were an important part of Jamie and Jessica's day. 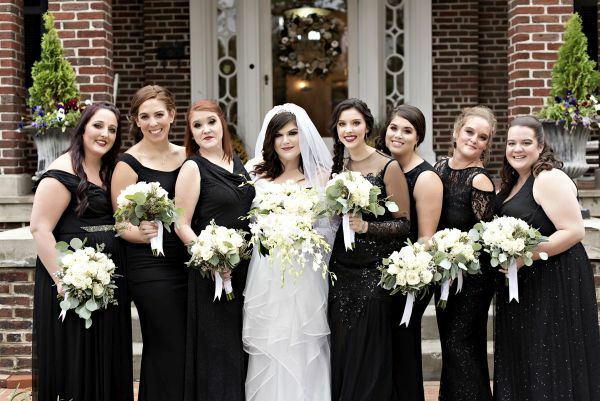 Make sure to see more of the Thompson wedding on page 60 of bridebook!